You can see Tamsin and I speak at our upcoming event “Social Media – can you afford to ignore it” – on Friday the 23rd of September. Alicia and I will be speaking together on Social Media for Professional Services – on the 29th of September. 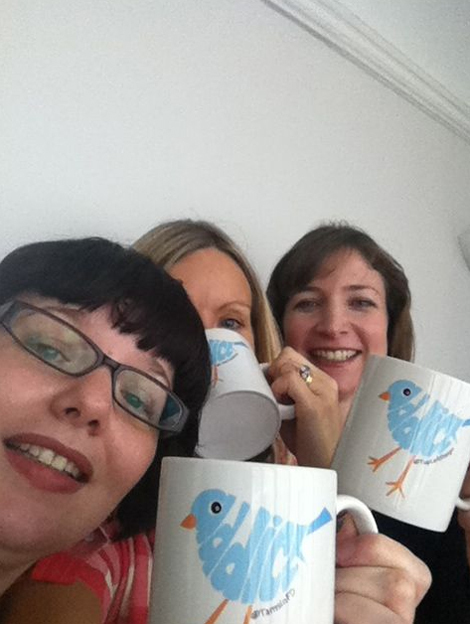 Here is a picture of us with our Twitter Addict Mugs! What a lovely surprise! And perfect timing for your upcoming event!